HUD SpyHunter. 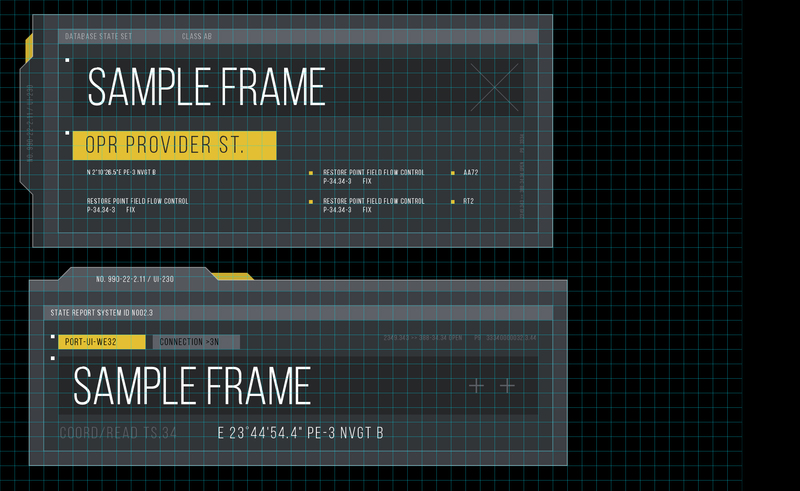 Pack of UI elements. Parametric OS Frames. Includes 2 samples in Illustrator (preview).